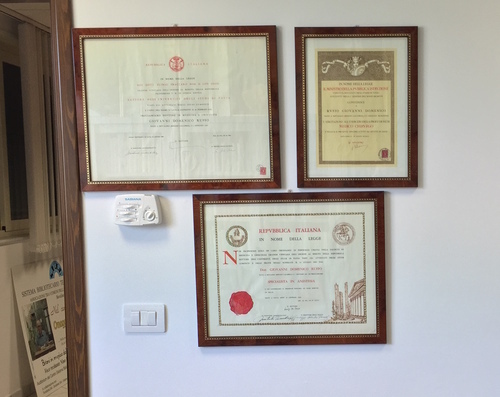 This is the archive of Ruffo's household inside the town library "Giovanni Ruffo" of Bovalino (at the corner between 'strada nuova 10' and 'strada nuova 9') . 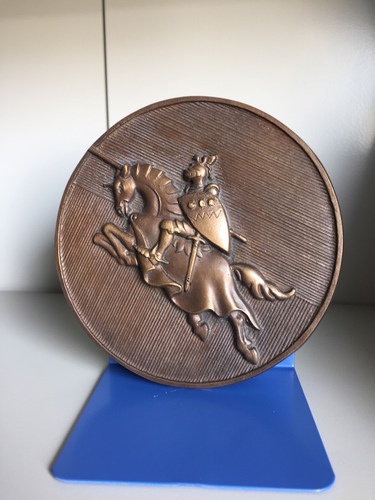 There you can find documents, pictures, books, honors and symbols about this noble family and especially about the physician Giovanni Ruffo. 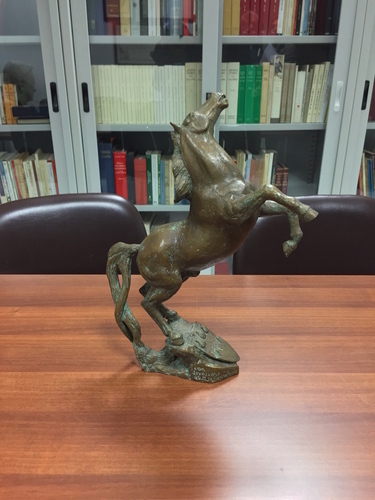 In the fall of 2002, following a letter sent to Piero Leone, ex director of the Regional Ionic Library System, and enthusiastically shared by the Management Committee of the System, was born the "Archivio Generale dei Ruffo di Calabria" on the basis of a multi-year project that will lead to the creation of a unique and rich archive of 20,000 documents from Ruffo di Calabria, Ruffo della Scaletta, Ruffo della Floresta, Wahis Ruffo de Bonneval and from the family of Dr. Giovanni Ruffo. 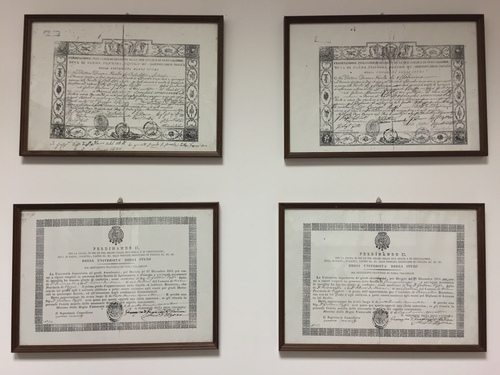 The pictures above the bookshelves portray Giovanni Ruffo's ancestors. In these pictures, as in the chapel and on the top of the door of the archive, you can see the horse, symbol of Ruffo's household. 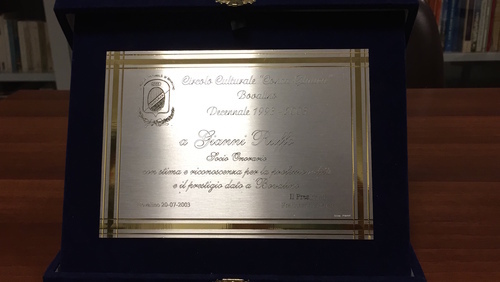 This recognition was given him by the Social Cultural Club "Conca Glauca" and say: "Con stima e riconoscenza per la professionalità e il prestigio dato a Bovalino" (With respect and gratitude for the professionalism and prestige given to Bovalino). 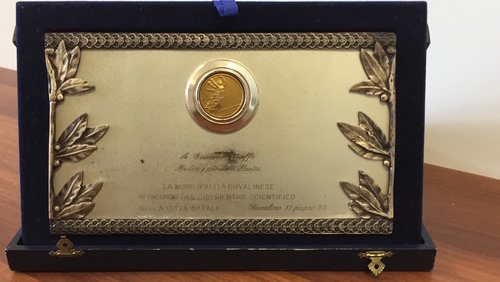 Bovalino's municipalities, in memory of his scientific return in his hometown, gave him this recognition in which there is written "A Giovanni Ruffo Medico e Cittadino illustre" (To Giovanni Ruffo illustrious Doctor and Citizen).